Join the discussion on our forums! Come discuss Portal Keeper over in our dedicated Portal Keeper discussion topic. Spirit of the Frog can directly draw Portals with cheap spells. 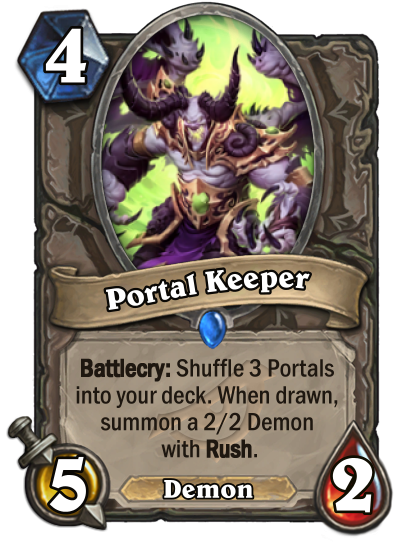 Cheaper Portal Overfiend, so it's much easier to play and also in a time where cheating out 2/2 rush demons can be very impactful. The Soularium is great with this since any Portal drawn with it redraw a new card.